OSHA has fined an Elk Grove Village contractor more than $110k for numerous construction site safety violations involving potential trench cave-in’s and similar dangers. Trenches are necessary in construction to install water pipes and other equipment. Building trenches according to code is an expensive and time-consuming process. Therefore, many contractors cut corners, but in doing so, they put their workers at great risk of significant injury and even death. OSHA regularly discovers minor violations at construction sites with trenches. However, the Elk Grove Village-based contractor was cited for a wide range of significant violations that put workers in immediate danger of death. In fact, the company wasn’t using any cave-in protection at all, and while trench violations are common, violations that severe are not. It is notable that this particular company has a history of these types of severe violations, which is the main reason why the OSHA fine is so high. This situation isn’t simply a matter of construction site safety violations; it is a matter of a company choosing its bottom line over the safety of its workers. The company has demonstrated that it views these OSHA fines as a cost of doing business. In other words, it is cheaper to pay the fines when caught than to operate the right way on a consistent basis. Another interesting aspect of this particular case is that OSHA did not have an inspection scheduled for this site. The OSHA inspector was en route to another site and knew that he would be passing by the site of a company known for its violations. He could see the violations from the highway, called it in and then stopped at the site to shut the operation down. Unsafe trenches are a growing problem in Chicago and throughout Illinois. A big reason for this is the economy. 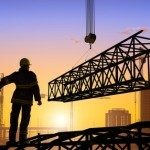 The current business environment for construction is difficult and profit margins are small. Trench safety is expensive, and by skipping it, companies can greatly enhance the profits earned. OSHA warns that increased regulations and stiffer fines are necessary. OSHA also wants more power to deal with construction companies that are repeat and willful offenders.